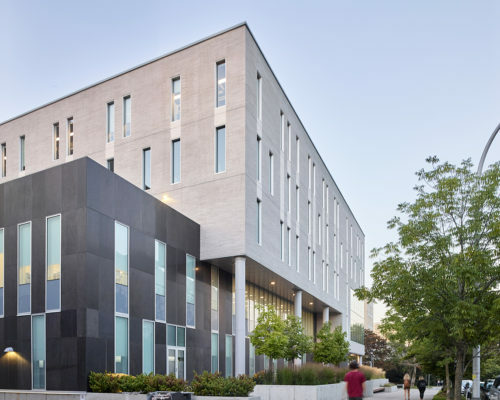 Moriyama & Teshima Architects in association with Barrie and Langille Architects are executing the new Brian Mulroney Institute for Government. This institute will be dedicated to the study of government, Canada-U.S. relations, and global affairs for undergraduates. 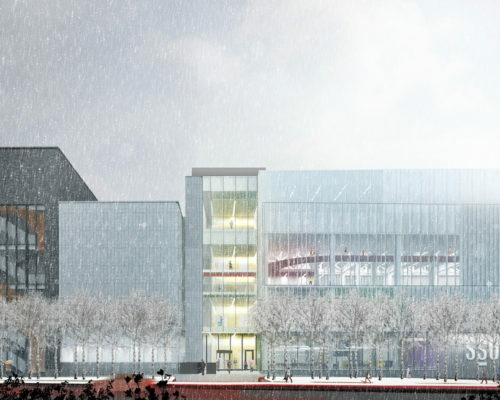 The 88,460 SF building will house flexible and modern learning spaces, large tiered classrooms, a 300-person auditorium, an open atrium, and a new exhibition centre of artefacts reflecting significant moments in Mr. Mulroney’s political history; feature exhibits include a replica of Mr. Mulroney’s office during his tenure as Prime Minister. 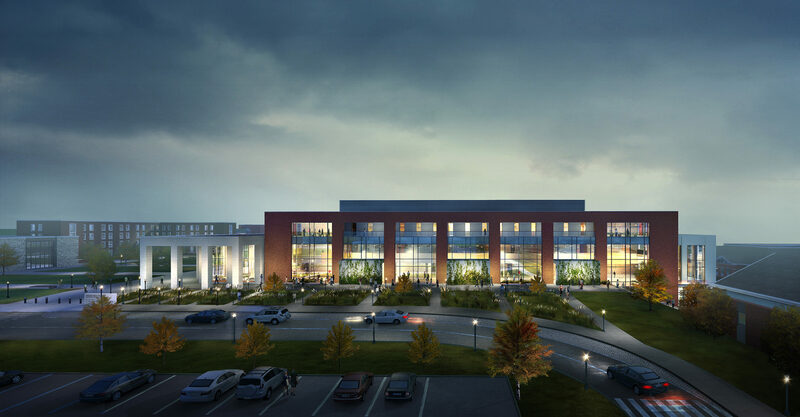 The new Mulroney Hall will be a dynamic nexus of academic and social life on the highly picturesque St FX Campus. 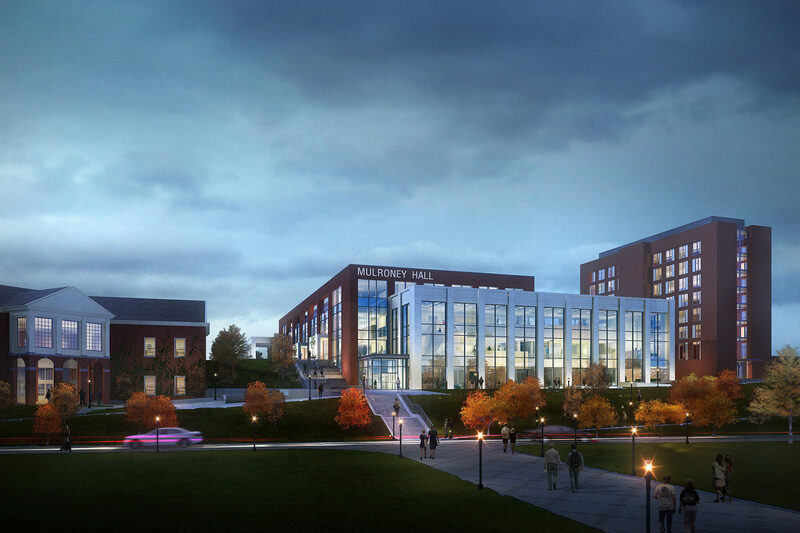 The design aspires to make Mulroney Hall a new, distinguished presence that announces itself as an iconic building on a highly visible hillside site. Endowed with wonderful elevated vantage points across the Lower Campus, the Western edge of the building is assigned the most prominent public/social programmed space in the Institute, that of the Forum. 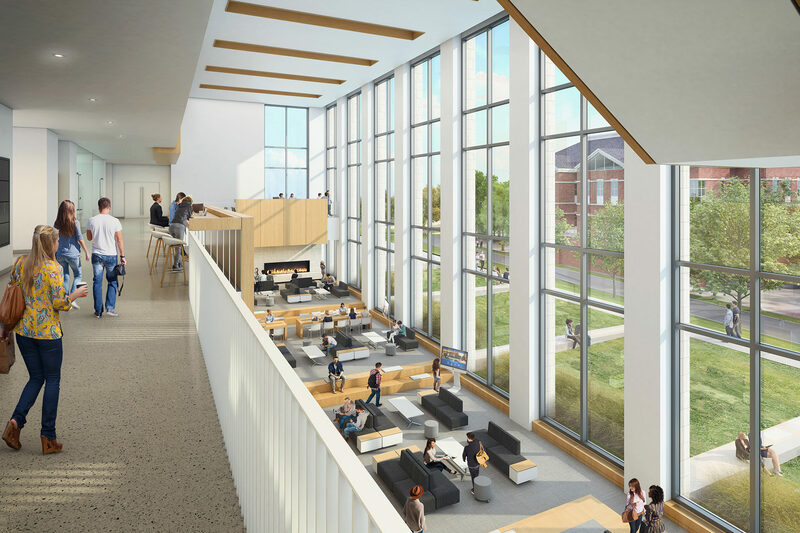 As a major new student destination on Campus, the Forum will become a Campus Living Room linking the Upper and Lower Campus zones. 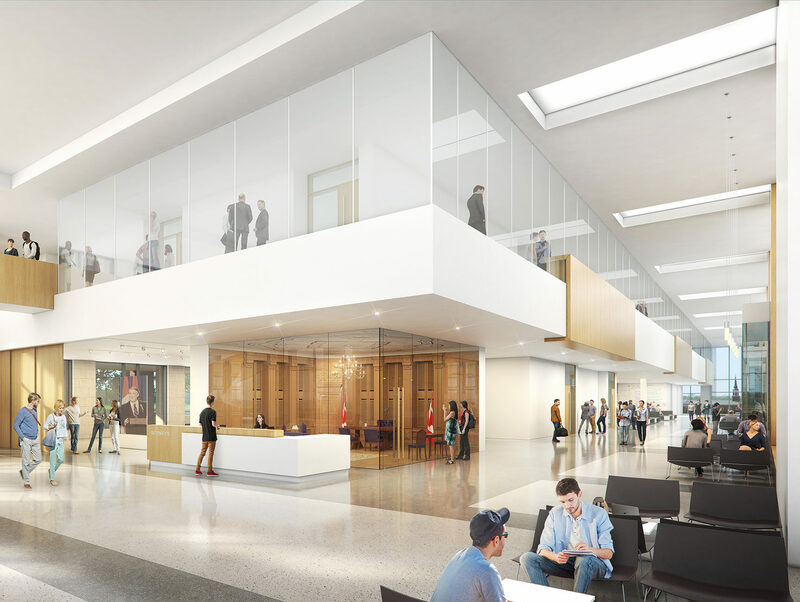 The grand, warm and inviting Lobby space provides direct access to the PM’s Replica Office, Temporary Gallery, and Scholar’s Walk. The Chamber is the first of three ‘Pod’ projections along Scholar’s Walk, followed by Digital Archives and Studio. 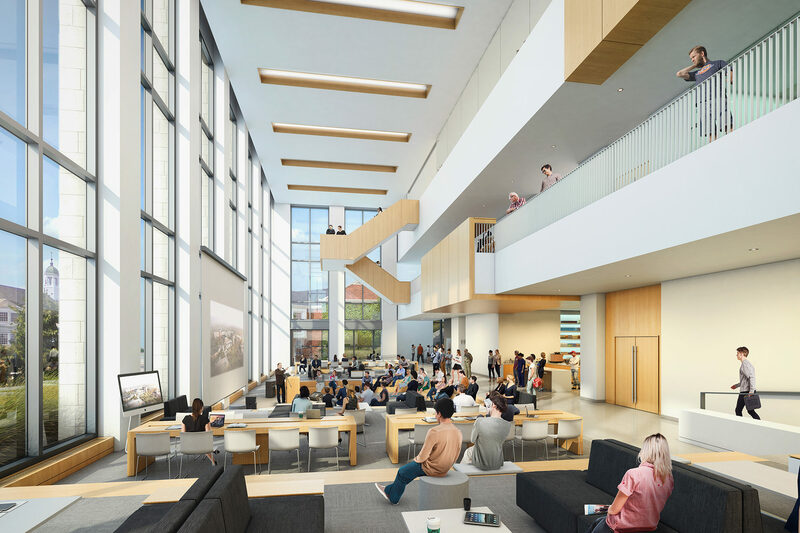 Casual lounge and Interactive Learning Spaces are interspersed along the interior of Scholar’s Walk; generous amounts of glazing allow access to daylight, views and orientation, without concern of glare or heat gain to the occupied spaces. A generous Student Common includes Interactive Learning Spaces with group tables and connective and interactive technology.